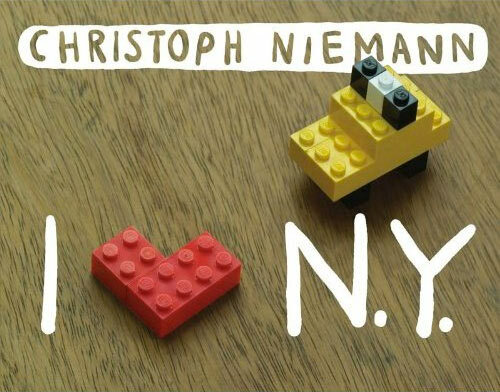 Christoph Niemann is an illustrator, graphic designer, and author. After his studies in Germany he moved to New York City in 1997. 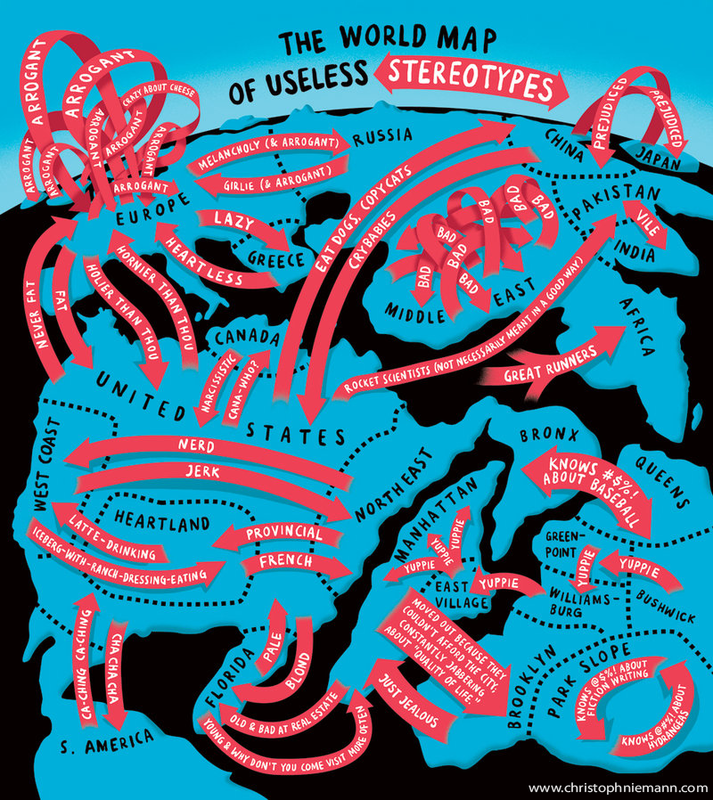 His work has appeared on the covers The New Yorker, Time, Wired, The New York Times Magazine and American Illustration, and has won awards from AIGA, the Art Directors Club and The Lead Awards. His corporate clients include Google, Amtrak and The Museum of Modern Art. 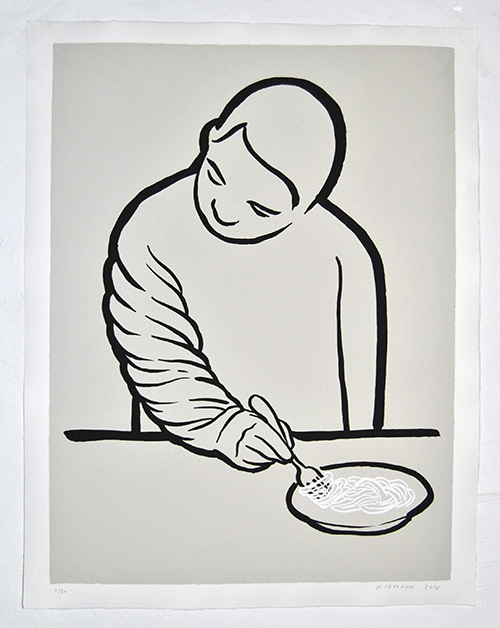 He is a member of the Alliance Graphique Internationale. 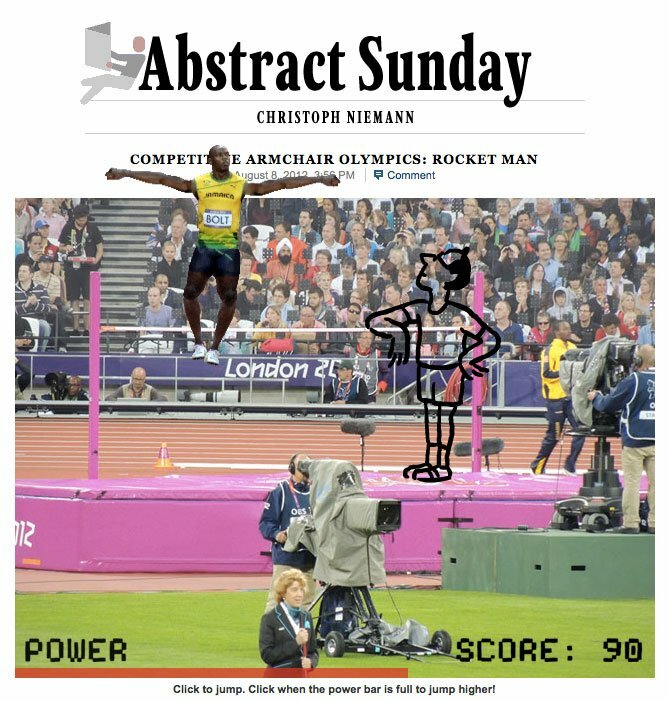 Since July 2008, Niemann has been writing and illustrating the whimsical Abstract City, a New York Times blog renamed Abstract Sunday in 2011, when the blog’s home became The New York Times Magazine. For his column he draws and writes essays about politics, the economy, art and modern life. He has drawn live from the Venice Art Biennial, the Olympic Games in London, The 2012 Republican Convention and he has drawn the New York City Marathon — while actually running it. 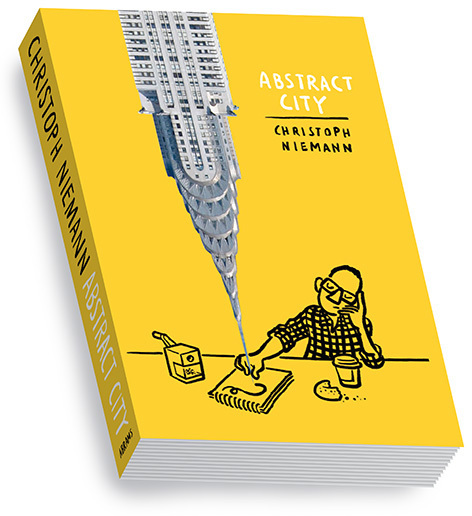 Niemann is the author of many books, most recently “Abstract City“. In 2010, he was inducted into the Art Directors Club Hall Of Fame. 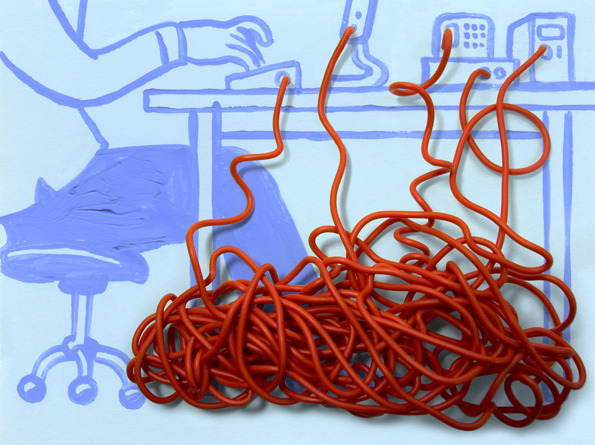 CHRISTOPH NIEMANN: My work process is pretty much the opposite of what many may connect with creativity. My hours are extremely bureaucratic (8.45 to 5.45 Monday through Friday). And since the inspiring walk in the park doesn’t yield results in my case, I usually stick to staring at a white piece of paper on my desk for hours. The one thing I started that breaks this orthodoxy is a mid-day run once or twice a week. This doesn’t yield any ideas. But as much as I hate to admit it, there’s something energizing about taking the mind off work for a while. FYD: What are your three favorite work tools? CN: 2H pencils. The ideal hardness for sketching, since it keeps the drawing form looking graphically interesting, so it’s really about the concept (any brisk doodle done with a 2B looks somehow convincing at first glance). Blue writing ink. The way it bleeds with water is much nicer than even the fanciest watercolor. Sketchbooks bought in Museum stores (my favorites are a red (fake?) leather book from LACMA and a felt covered one from DIA Beacon. FYD: How have art directors helped improve your work? CN: Good art directors ask the right questions and find the right balance of keeping me motivated, while putting their finger right where it hurts. The worst thing that can happen to an artist is feeling sorry for yourself (and the pursuit of creative ideas gives you plenty of reasons to do just that). If you have an art director with whom you can discuss your ideas and execution in a productive way, you can learn a lot about your work and increase your chances of judging it — at least a little more objectively. FYD: There has been transition and departure from New York to other far-flung lands. 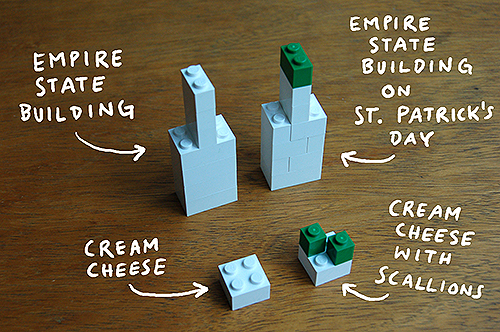 Do you still Lego N.Y.? CN: I absolutely and utterly still LEGO N.Y.! It’s still the most inspiring city I know. The drive and talent of the people I know here is unique and still wonderfully contagious. The only downside is that I eventually found it to be a better place for making ideas happen, rather than coming up with new ways of approaching ideas. 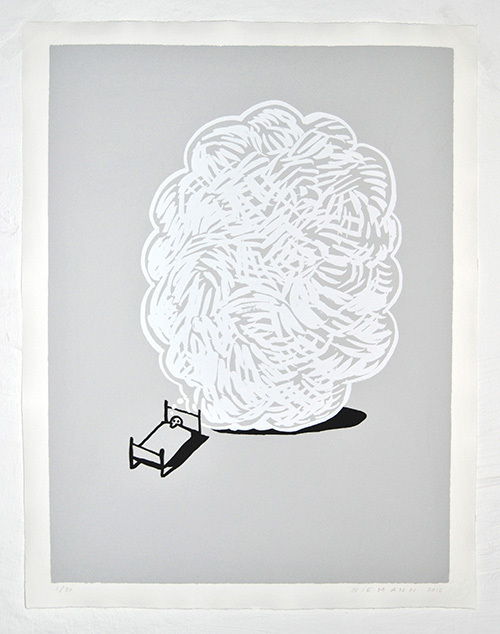 I started the Abstract City blog when I moved to Berlin. I doubt that I would have had the confidence to embark on a project that involves so much failure and necessary dead-ends, when surrounded by so much flawless productivity as it is the case in NYC. If you want think outside the box you have to start inside the box. FYD: Thomas Wolfe said “You Can’t Go Home Again”. Is this the case with your return to Germany? CN: I moved away right after graduation, and of course there were concerns about things being too familiar. But fortunately Berlin is such a unique city, so different form my experiences growing up in the southwest, that it rather feels like a new beginning than a return home. FYD: People often reference your humor. Did you grow up a funny kid? CN: I lacked confidence to play pranks, so I am not aware of ever getting in trouble for anything related to humor. I fear that if there is connection to my youth it may be less inspiring: like many kids who end up in creative professions, I was not exactly very far up on the popularity ladder when I was in school. I assume that a good deal of my efforts in drawing and humor stem from my adolescent desire to make up for social shortcomings, real or perceived. FYD: Your Abstract Sunday allots you more travel time, more time to think outside the bounds of New York City, and of course, that of American culture. What do you hope to add to the mix? CN: The first chapters of the column are mostly about my personal experience and obsessions. It was rewarding to work on that series, but it relied on having a somewhat detailed opinion regarding a certain topic (coffee, flying etc). Eventually, I found that I have to change my perspective and with the New York Times Magazine, I would tackle less personal topics (politics, economics etc). The other new thing was to force myself to work with more spontaneous ideas. That’s where the traveling comes into play. I found that I can tap new creative resources if I go to an unfamiliar place for a limited amount of time, and try to come up with ideas on the spot. It’s far too exhausting to do this regularly but I have to admit that at the end of a year, these stunts often have been the work experiences that seems the most rewarding. There is something energizing about taking the mind off work for a while. FYD: Too often, I’m trying to think outside the box. 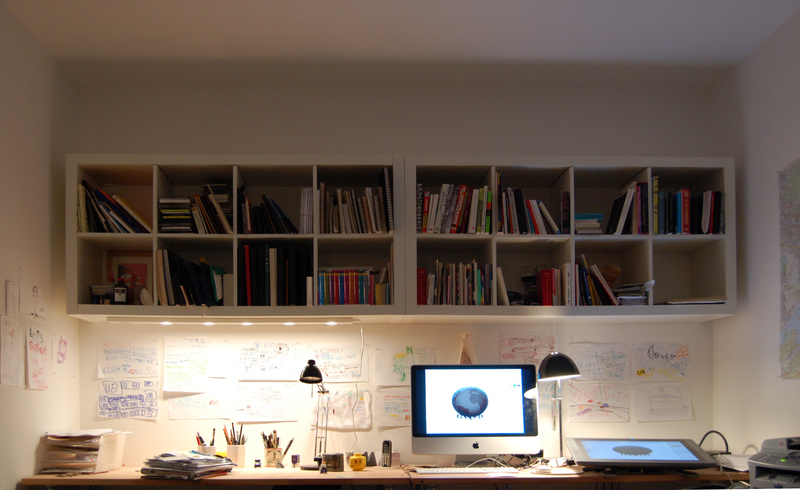 Is it best to tap into your own personal database of memories to get a project moving along? CN: If you want think outside the box you have to start inside the box. You have to start with what the reader already knows, so they have a chance to follow your train of thought. I found that if I get too obsessed about avoiding the box, the concepts are cold and confusing. Follow Christoph via Twitter and Facebook here. Buy a print or nab one of his books.